The NFL -- known for its hard hits and brutal action -- is partnering with Cirque du Soleil, the theatrical company known for its graceful aerial performances and acrobatics. But don't expect NFL players doing high-wire acts or swinging from trapezes -- Cirque's involvement will take the form of financial backing and consulting. The new NFL-themed attraction will center around a 20-minute 4-D show that helps fans experience what it's like to "be in the game, on the sidelines and behind the scenes." The main show will play in a 350-seat theater, featuring screens at the front of the auditorium, on the sides and on the ceiling. The immersive experience will attempt to replicate actual game-time conditions like rain and snow. 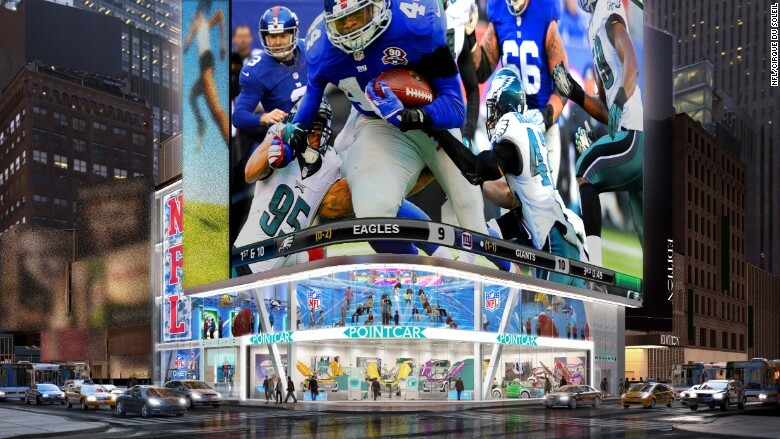 NFL Times Square is expected to open in the fall of 2017. Fans will buy tickets to a specific show time, but there will be plenty to do before and after. 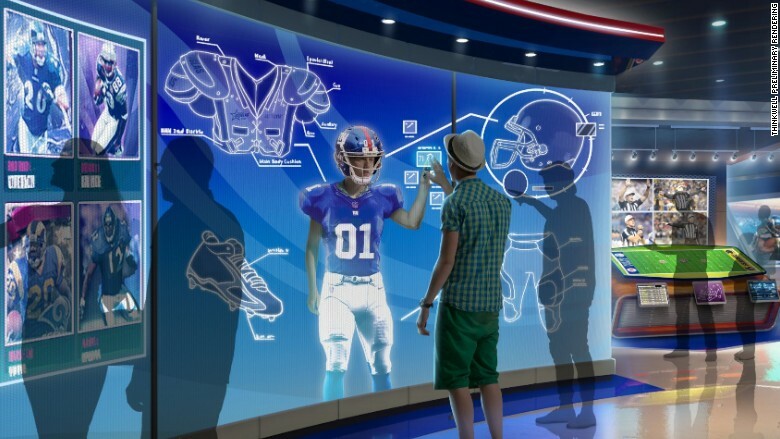 The attraction will feature interactive displays and exhibits such as a recreated NFL locker room. There will also be "measure ups" where visitors can see how things like their hand-eye coordination or muscle mass compare to actual NFL players. All 32 teams will be represented and the site will also feature trivia, memorabilia and an NFL Times Square store. Reps from the NFL said the pricing will be "family friendly" and will much cheaper than neighboring Broadway shows. The two companies announced Thursday that the new four-story attraction in Times Square will open in the fall of 2017. Cirque already produces several hit shows in Las Vegas and Montreal and was the one to reach out to the NFL with the new concept.